ASTRO's Cha Eun Woo will be appearing as a guest on Olive TV & tvN variety 'Snail Hotel'! He will the first ever idol guest on this week's 'Snail Hotel', airing March 31 at 12AM KST. 'Snail Hotel' is a healing variety program where celebrity guests visit a secluded hotel in the mountains, enjoying some time away from the busy city life. During his stay at the 'Snail Hotel', Cha Eun Woo had fun riding a rail bike, trying zip lining, and more. He said, "I lived in a dorm ever since I became a trainee, so it's my first time living in a room alone in 4 and a half years." In his room, however, Cha Eun Woo mostly worried about his members or watched videos of ASTRO's performances on his phone. 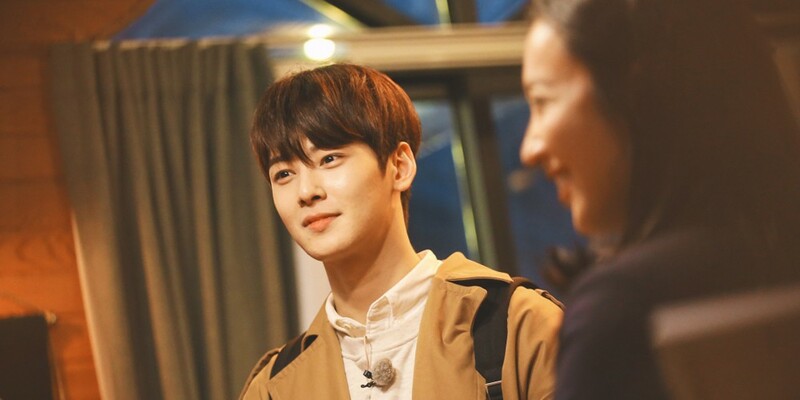 Also known as a huge fan of MC Sung Si Kyung, Cha Eun Woo said to the ballad singer, "I want to release a collaboration song with [Sung Si Kyung] sunbaenim", and "I want to learn cooking [from Sung Si Kyung]." Make sure to catch Cha Eun Woo on 'Snail Hotel' this weekend!